Large projects often come with equally large headaches. Company Plant Engineers and Plant Managers already have full plates with their day-to-day responsibilities without adding a large building construction project involving industrial fabrication, mechanical installation and roofing contractors. However, they are often left looking for answers for how to complete the project successfully, on time, safely, and under budget. 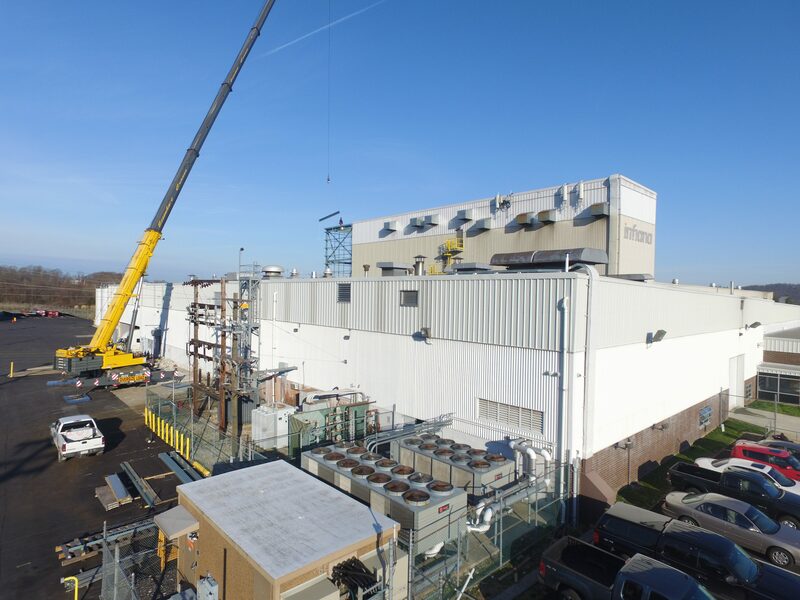 Infiana, a company that develops and produces engineered films, experienced this struggle with their major manufacturing facility expansion project in Malvern, PA. 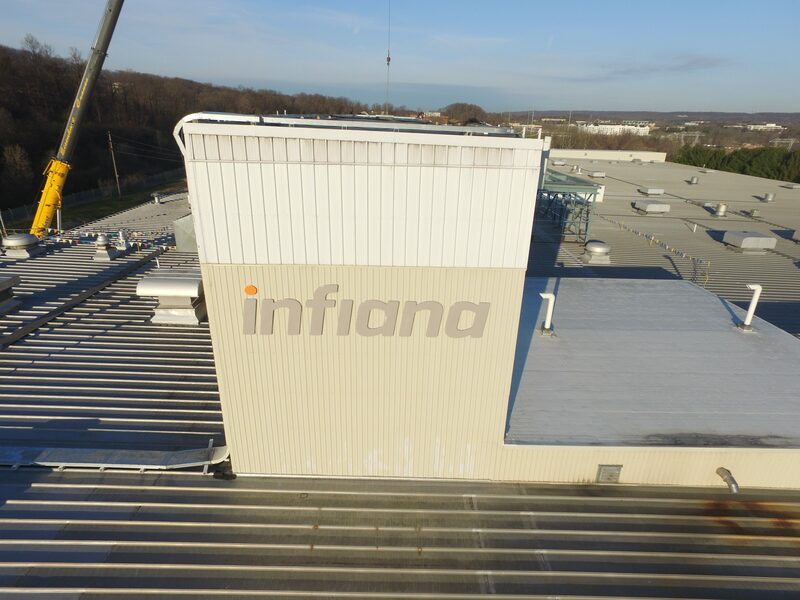 The stakes were high: Infiana’s Malvern site employed around 100 people, and the expansion would allow them to reach customers in new markets by installing new, vital equipment. It was critical for this company that the work was completed on time, on budget, and executed without disruption to existing production. They were looking for their demolition and expansion project to be handled by a team that wouldn’t put extra stress on employees, wouldn’t break their budget, and wouldn’t result in a series of subcontractor disputes and change-orders. GSM Industrial and GSM Roofing were up to the challenge. GSM Industrial served as the General Contractor and executed the construction of the structure for the penthouse. GSM Roofing supported the project by supplying and installing a TPO roofing system. 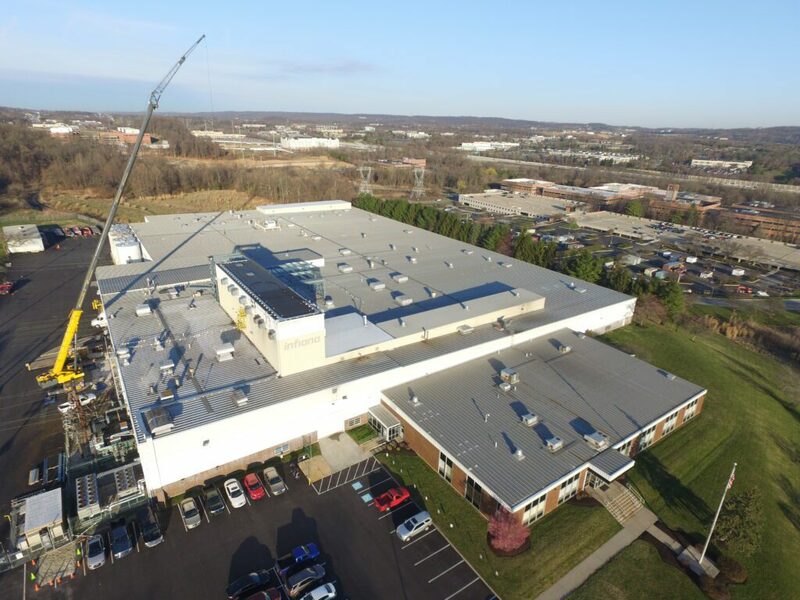 By combining their forces, GSM Industrial and GSM Roofing were able to provide a powerful solution for Infiana’s needs, while saving them time and resources usually spent on multiple subcontractors. Read Infiana’s Project Profile for more details on the scope and results of the project. GSM Industrial and GSM Roofing are sister companies under the Gooding Group. They have been family owned and operated since 1946, and as a family business, they know the value of good communication and working hard to complete a job. 1. Fewer Subcontractors: When using various subcontractors, timelines tend to shift and the quality of work often becomes uneven. By using sister companies, GSM Industrial and GSM Roofing, you’ll be satisfied knowing you’re working with the same company throughout the length of your project. 2. Fewer Transaction Costs: GSM Industrial and GSM Roofing can handle all transaction costs – such as estimates, drawing of contracts, administering contracts – in house, eliminating frequent back-and-forth communication experienced with other contractors. 3. Reduced Project Management Time and Change Order Disputes: With the Gooding Group’s combined work and timeline, they can reduce the amount of time it takes to plan and complete your project. Because their contractors work together efficiently and collaboratively, they eliminate change order disputes, which also tend to delay projects. 4. Fewer Equipment Mobilizations: Don’t pay for multiple companies to bring in and remove their equipment from your job site. With only one joint task force bringing equipment, you don’t lose time or money on equipment mobilization. 5. Common Safety Standards: GSM Industrial and GSM Roofing take safety seriously and their safety rating proves it, keeping their jobs on task and moving forward. Their shared safety director has gone through extensive training and follows stringent safety procedures. 6. Like-Minded Culture: Every company has its own way of doing things. When you’re constantly changing gears, it eats up time. GSM Industrial and GSM Roofing have shared ownership, which means their expectations and cultures are the same, keeping your project moving forward smoothly. 7. Reduced Costs: Customers who use GSM Industrial and GSM Roofing for their projects often see a 6-16% dollar value discount. Their efficient teamwork translates into valuable time saved. They are also proficient in working in functional environments, which means little to no downtime for your production. GSM Industrial and GSM Roofing are proud to have been a part of what made Infiana able to usher in a new era for the company. They know that as a result of their combined forces, they are able to provide quality work, valuable savings, and timely project completion. They look forward to the next opportunity to help a client achieve similar goals through their joint efforts. To schedule your large – or small – project, reach out to them via this Contact Form to get started. To learn more about the Infiana project, click here to view the Project Profile.